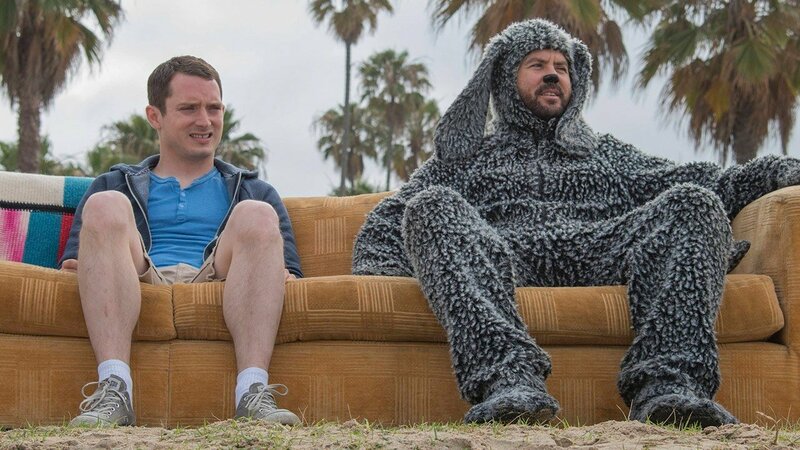 Mental illness is not something to be taken lightly, although Wilfred, an American remake of the original Australian series, manages to bring in dark comedic themes while still taking it seriously. The main character Ryan (Elijah Wood) bonds with his neighbor Jenna’s dog named Wilfred. Oddly enough, he is the only one that can see that the dog is a talking human in a dog costume. Wilfred puts Ryan through all sorts of antics and grows on Ryan and also the audience. Although it is never clear why he sees Wilfred the way he does, all that is for certain is that Ryan is deeply depressed and likely to have other mental issues that are not completely spelled out throughout the series. The show tackles some philosophical themes that leave the viewer with open-ended questions: Why is Ryan the only person that can hear Wilfred talking? Is he actually the only person? Is it a delusion or is it real? Does Wilfred ever have Ryan’s best interests in mind? What even is Wilfred, exactly? It constantly leaves the viewer questioning what is going on, as some episodes in the series are very surreal. Since it is a comedy, there are a few light-hearted and uplifting episodes to offset the heavy and morbid ones from time to time. For example, the first few minutes of the first episode start out with Ryan typing out a suicide note and attempting suicide. This show does not romanticize suicide or depression by any means, but provides insight on how it can impact its victims and odd ways they can often cope without anyone really noticing the signs and symptoms. Fatima Coulibaly is a junior at IUB with an eclectic taste in film who enjoys playing the piano. Except Jingle Bells. All images courtesy Google Images. Previous Previous post: Fun, features, and sun all summer long at Media Services!